Hiiiii, my name is Nena Willemsen and I’m 19 years old. ​I study CIS and I’m in my second year now. 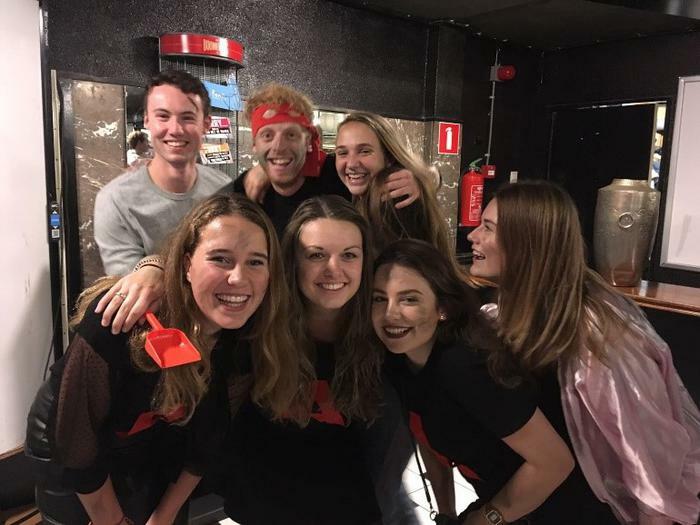 I’m the chairwoman of my lovely committee the Activicee and I live in Groningen. A mistake everyone makes is that I’m from Twente. This is not true: I was born and raised in Heeten which is part of the beautiful Salland. This is another area in Overijssel that lies next to Twente! 3. Why are you a member of Commotie? I became a member of Commotie because someone I know (Malin, she was also a member of Commotie) told me it would be very fun and useful to be an active member. This was very true and I have never regretted it! 4. Are you an active member as well? Yes! Last year I was member of the TravelCee and we arranged an amazing trip to Dublin. This year I’m chairwoman of the Activicee and I’m very happy with that. 5. How do your friends call you? My friends have many weird nicknames for me: my committee, especially Jesse, calls me Neyney and some friends call me Neenie. My little sister calls me Neentje but she’s the only person from whom I accept that! My most regular nickname is Neen. This sometimes causes confusion because some people in group chats write ‘neen’ instead of ‘nee’ when they want to say no. When I read this I’m always like, huh why are you saying my name while I’m not part of this conversation. 6. to which animal do you relate most? I’m actually very good at imitating a sheep, so I guess that must be the animal I relate the most to. If you don’t believe me, come and ask me to imitate the sound of a sheep. Maybe it’s wise to do that after two or three beers at a monthly social. If you can’t wait feel free to ask me when you see me at the uni, this might be a bit more awkward but that’s up to you. 7. Which activity of Commotie is the most memorable? This must be the trip to Dublin last year. It was the masterpiece of our old committee and besides that I have so much good and hilarious memories about that week! I can’t wait to go to Lisbon this year with Commotie. I’m the most proud of that I’m still studying CIS now. In the first exam period of my first year I didn’t do such a good job. I didn’t pass any of the courses and just before the resits I got a heavy laryngitis (throat infection). At that time I really wanted to quit CIS but I’m glad I didn’t do it. I even got my P at the end of the year and I’m very proud of that! 9. What’s your favorite spot in Groningen? My favorite spot in Groningen is the Noorderplantsoen. I love to be outside and have a beer with my friends when the sun is shining. Sometimes, when I’m not completely myself, I go for a run there. This unfortunately doesn’t happen a lot. 10. what did you want to be when growing up? When I was a little girl I had this thing with dolphins because I once visited the Dolfinarium at Hardewijk. Since then I only read books about dolphins and I really wanted to become a dolphin trainer at the Dolfinarium. Now I think my ambitions are somewhere else but who knows what will happen if I go to the Dolfinarium again in the future..
11. What’s your favorite way of spending your free time? Every weekend when I’m free I travel to my parents’ house in Heeten. Most of the time all of my friends who are studying somewhere else do the same so we can hang out together, drink wine and talk about everything. Besides that, the best thing to do with them is going to festivals or going on holidays together. 12. What ability do you really want to have? 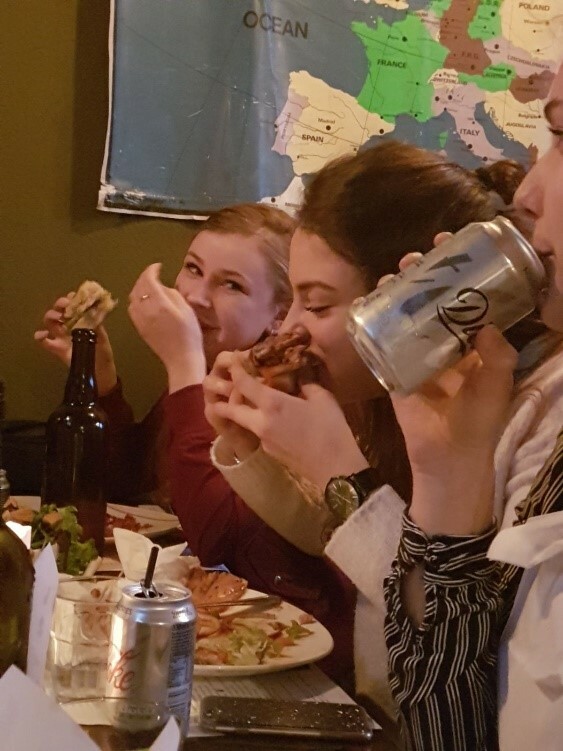 Eating with knife and fork, properly. I’m known for that I can’t eat normally and always eat with my hands. 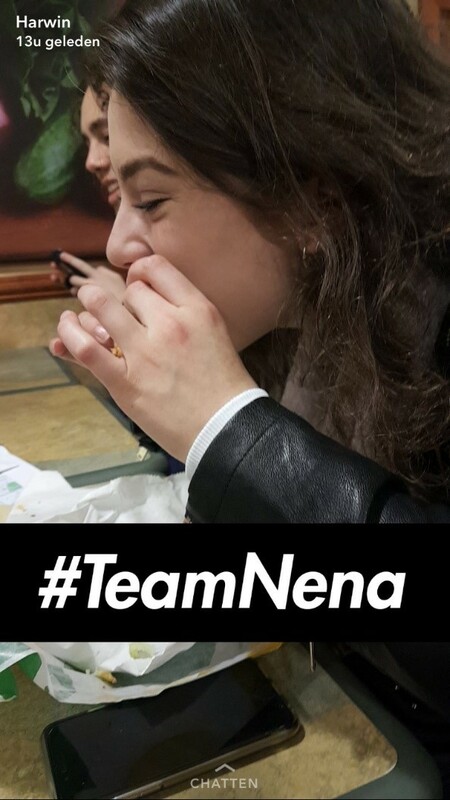 Harwin started #TeamNena since he always captures the moments when I’m eating… I guess this is something I can’t get rid of. I loooooove cheese. I really think it’s one of the best things in the world. Hardly a day goes by that I don’t eat cheese and I want to put it on almost everything I eat. I can’t imagine my life without it. 14. What don’t you like? People who don’t like cheese. And when the old Travelcee can’t find a date for a reunion. I miss you guys!! 15. Where do you see yourself in 5 years? In five years I hope to have finished my study and have seen a lot of the world. It’s my dream to have a job for which you have to travel. This sounds like the perfect combination, making money and traveling. 16. Which Commotie member would you vote for to become president? I would vote for grandma Annick. She has been loyal to Commotie for like a 100 years so I think she would be a loyal president as well. 17. Which two members of Commotie should go on a date? After seeing some video’s at the CCA (everyone who was there will know what I mean), I would say Avin and Polling. 18. To whom do you want to pass on the keyboard and why? I would like to pass on the keyboard to my old chairwoman Sanne van Dalen. 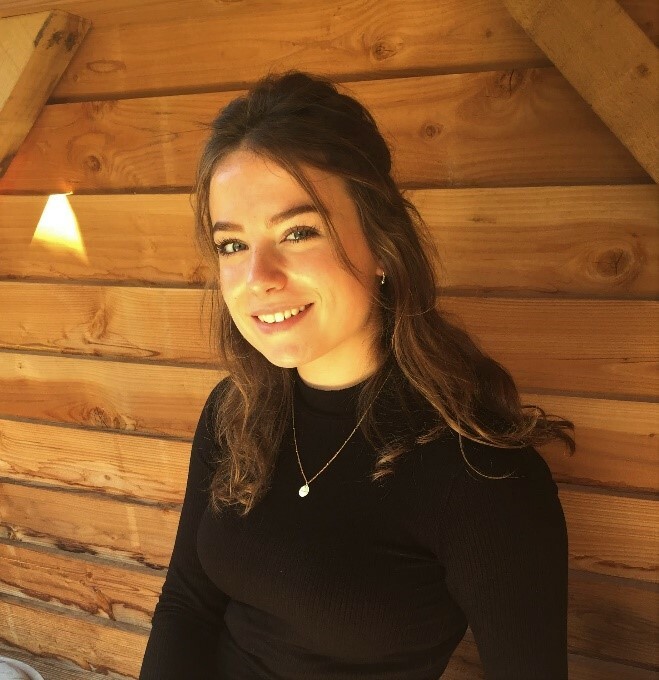 She’s the only Sanne who has not yet introduced herself through the keyboard and I think it’s about time she tells us a bit more about her fear for awkward silences. So Sanne from now on I won’t say anything anymore, your choice whether it becomes quiet now or not!